Sounding a bit sluggish and out of breath, CZARFACE eventually pin down their opponent on their latest comic-book/wrestling inspired output. And even a tag-team-up with rap veteran Ghostface Killah can’t beat some life into this 6th album. But underneath the groans on the canvas lie some of 7L’s best, and most brooding beats yet. So it’s a bit of a shame. But hey-ho, with the momentum they have from their previous records, it seems like they could get a get-out-of-jail-free card this time round. Don’t get me wrong, it’s not a bad album, per ce. It just sounds belaboured, like WWE wrestlers in the 900th round, stumbling around like drunks, or alternatively, almost distracted, like some of the so-called rap-stars on the album are second-screening their own bars, playing around on Genius or something. Their previous albums, however, including a collab with MF DOOM, saw them hitting high strides, with quality material and momentum. Other artists moving in and out of various CZARFACE editions include Action Bronson, The Mothafuckin’ eXquire, DJ Premier, Vinnie Paz and recently Kendra Morris. But look at the bigger picture. 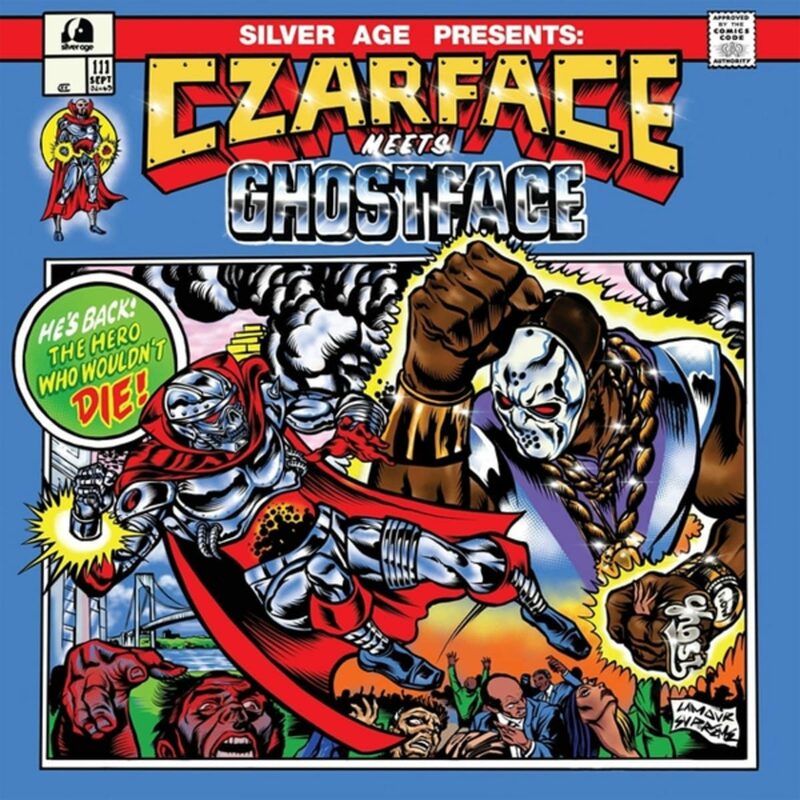 Even though CZARFACE as a unit gave 7L & Esoteric, and Inspectah Deck a new lease on life in the rap game, coming off their debut with electric energy, they’re no spring chickens. Eso & 7 have been going since 1993, and Mr. “D.E.C.K.” is of course old Wu-Tang alumi. There’s also some name dropping of their kids and family in their rhymes, and this creates a bit of tension with their nostalgic, Peter Pan-esque obsession with super heroes, action scenes, villains, epic battles, transformer and technology tropes. Are they a bit over the hill for this particular act at this point in time? It’s beginning to sound a bit like it. Compare for instance their current state vs that of rivals Run The Jewels these days – the latter is aging better. You wouldn’t tell that from the (true) opener Face Off though. Ghostface tears into the mic, dropping dope lines only, including tasty treats like “dangerous material, spread like venereal, got the scoop on the game like a bowl of cereal”, and oh-so 2019 “rhinestones on my silk road, my custom cape, smoke clouds, I disappear into vape”. He’s having fun with it. The sample here is a really cool and simple 2-chord rock riff ringing, with a very “let’s begin” feel to it. Mr. Tony Starks having some Mongolian Beef. The album actually keeps the quality up for the next couple of songs. Czarrcade ’87 is effortlessly cool, giving each rapper a chance to slyly drop some bars to make their mark (“like I wrote braille”). Both Powers and Stuff and Masked Superstars keep the tempo up with banging beats from 7L, and some funny kids bragging about CZARFACE’s omnipotent glory (“He’s got the powers and stuff!”). Masked Superstars actually has a really cool couple of breakbeats that give Esoteric a chance to lay it down properly, and they are stand out moments on the album. The King Heard Voices and Mongolian Beef are the two worst tracks on here. King’s super-dark production sounds almost unnecesarrily evil and dirge-like, and you know I’m right when even Ghostface is adlibbing “woah, sounds like I’m in a haunted church or sumthin’, man” during the chorus. Alas, Mongolian Beef has got to have some of Ghostface’s most laziest contributions to a track ever. I’m not even sure he knew where he was going with some of this stuff. You’ve also got to wonder how much critiquing there was going on in-studio. If you’re going to have an artist on your “comic book”, make sure they don’t smudge the ink. Listen to The Colour has some interesting unravelling to its structure that is more mysterious and wandering than usual. But it’s not that interesting really. Its ambition is clear, but once again, defaults to darkness, and maybe needed a bit more thought. It meanders and gets lost. Overall, it’s much darker, with much less samples, and a much more straight-forward approach. That part works (although I kind of think the samples added more of the comic-book feel to the music). 7L can’t do all the work on here, but he tries anyway. The music, the beats, the melodies – he’s leading the tracks here, and when the experiments pay off, it can be really exciting and memorable. The New LoFi's main focus is finding unsigned bands, djs and producers. We aim to promote musicians who want to be promoted. With that said, some of the content on the site also comes from copywritten and protected sources. We exist to promote the artists not steal from them. If for any reason there is an issue with any copy written content, please contact us immediately and the content will be removed from the site. Subscribe to The New LoFi's mailing list by entering your email below, and get our mixes and monthly updates sent to your email as soon as they are released. It's the best way to hear the latest music from The New LoFi.